Here’s a Job Captain Jack Would Like! This is definitely a job Captain Jack would like. 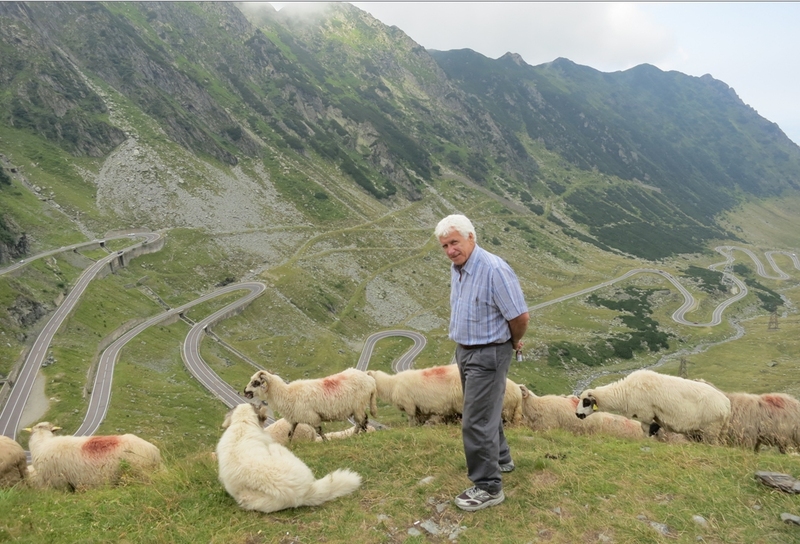 My brother Chuck and his wife Youngmee were recently in Romania, and sent back some photos of the road they were on. 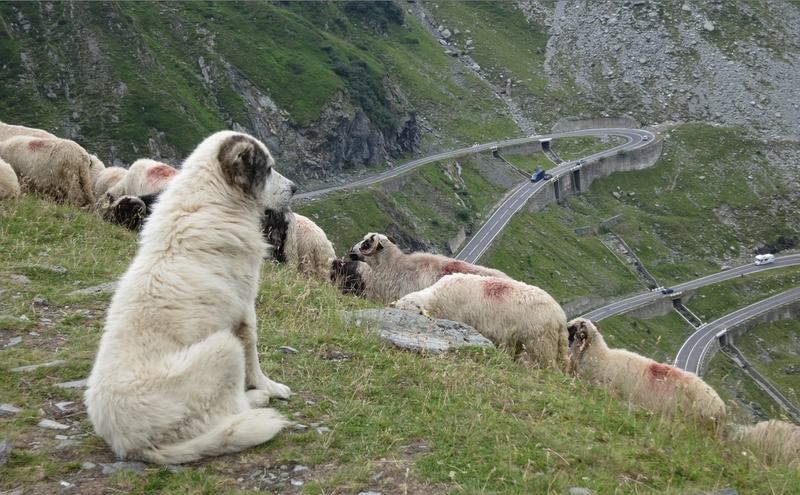 Here’s a dog watching his flock. Totally what Captain Jack was born to do. But what does the dog do if the sheep start to slide? And as for the rest of the picture, didn’t I see James Bond being pursued by international terrorists on that road? Chuck said they rented a red car, so that the wreckage would be easier to spot. Pictures by Youngmee.